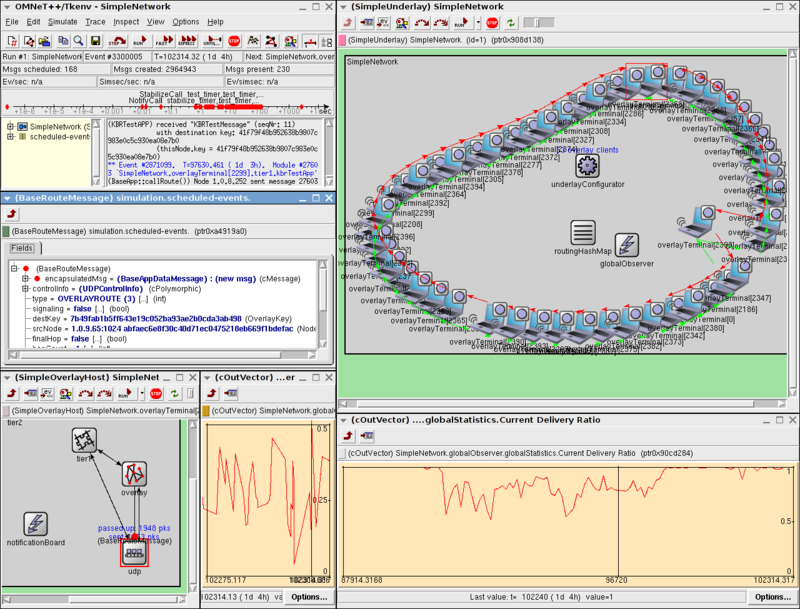 Flexibility: The simulator allows to simulate both structured and unstructured overlay networks (currently Chord, Pastry, Bamboo, Koorde, Broose, Kademlia, GIA, Vast, and Publish-Subscribe for MMOGs are implemented). The modular design and use of the Common API facilitate the extension with new features or protocols. Module behaviour can easily be customized by specify parameters in a human readable configuration file. Statistics: The simulator collects various statistical data such as sent, received, or forwarded network traffic per node, successful or unsuccessful packet delivery, and packet hop count.